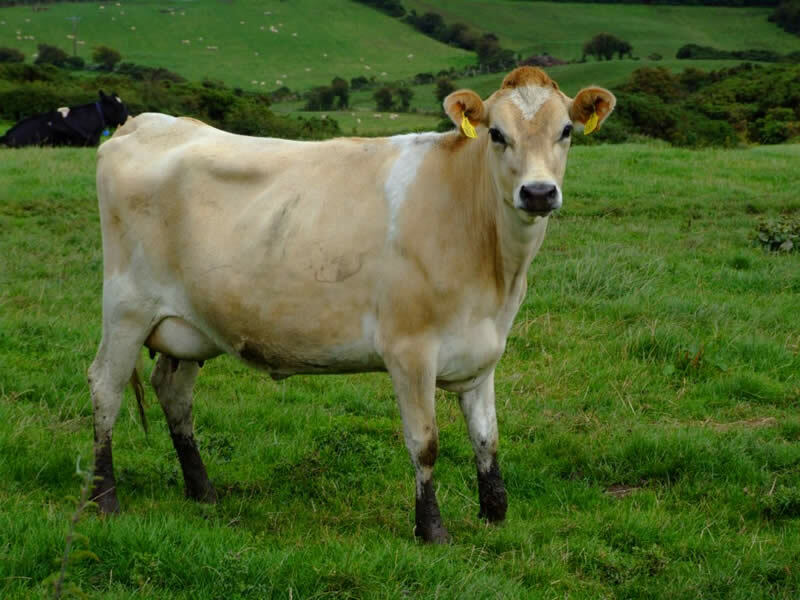 The Jersey The history of the Jersey breed can be traced back to 6000BC to the middle east and even though it is difficult to trace, they are probably descendants from the wild species Bos Primigenius, a wild savage beast better known as Aurochs. It apparently descended from cattle stock brought over from the nearby Norman mainland, and was first recorded as a separate breed around 1700. The development of the breed was down to the fact that it was isolated from outside influence for over two hundred years, from 1789 to 2008. In 1789, imports of foreign cattle into Jersey were forbidden by law to maintain the purity of the breed and to close a loophole in import duties that French farmers were exploiting. The UK levied no import duty on cattle imported from Jersey so cattle were being shipped from France to Jersey and then being shipped onward to England to circumvent the tariff on French cattle. 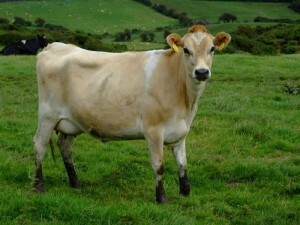 The increase in the supply of cattle, sometimes of inferior quality, was bringing the price down and damaging the reputation of Jersey cattle. The import ban stabilised the price and enabled a more scientifically controlled programme of breeding to be undertaken. 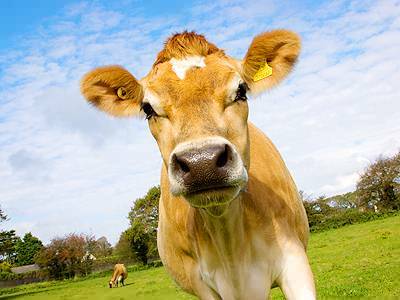 Jersey’s are renowned amongst dairy farmers for the high butterfat content of their milk along with and the lower maintenance costs attending its lower bodyweight, as well as its genial disposition. Jerseys are also adaptable to hot climates and can be bred in the hottest parts of Brazil. Jerseys come in all shades of brown, from light tan to almost black. All purebred Jerseys have a lighter band around their muzzle, a dark switch (long hair on the end of the tail), and black hooves.